Bye Bye Under Eye is one of my top concealer's. I've had it in my kit for years, it's excellent on both aging and dry eyes. You only need a pin dot amount to get full coverage. This concealer is creamy, but not so much that it cracks or settles in to lines, it sets perfectly to a natural skin finish even with out a setting powder. I also like using this on dark spots and blemishes, you can even cover tattoo's with it it's that good. I did a comparison of my regular sized concealer to the Super Size, this baby is huge! 1 fl oz. I can't imagine ever using it up. Light, which is my shade will work for very fair complexions and Neutral Medium will also suit light complexions with warm undertones. Also available in Tan & Deep. Using the Heavenly Luxe Dual Airbrush Foundation/Concealer Brush that's included in this set has really upped Bye Bye Under Eye's application. I dot concealer lightly around the eyea with my finger and use this brush to blend it out flawlessly. The bristles are so soft and I appreciate the multiple uses you can get from just this one brush. I've been using the foundation side for powder's and blushes and it applies and blends them out beautifully. 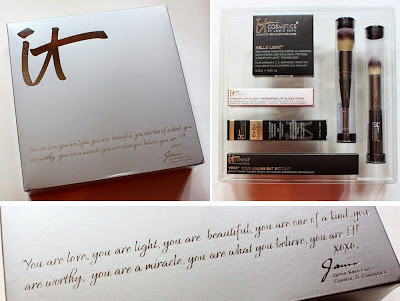 Hello Light luminizer erases dark shadow's and gives light to your skin and a lift to your face. Like most of IT's product's it's loaded with good for your skin ingredients to hydrate and bring life back to your face. 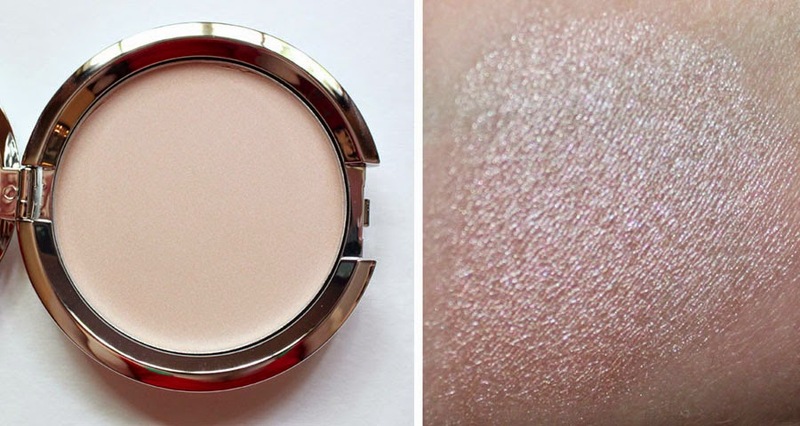 The soft shimmering champagne shade looks radiant when placed on the highlight points and awakens dull lifeless skin. 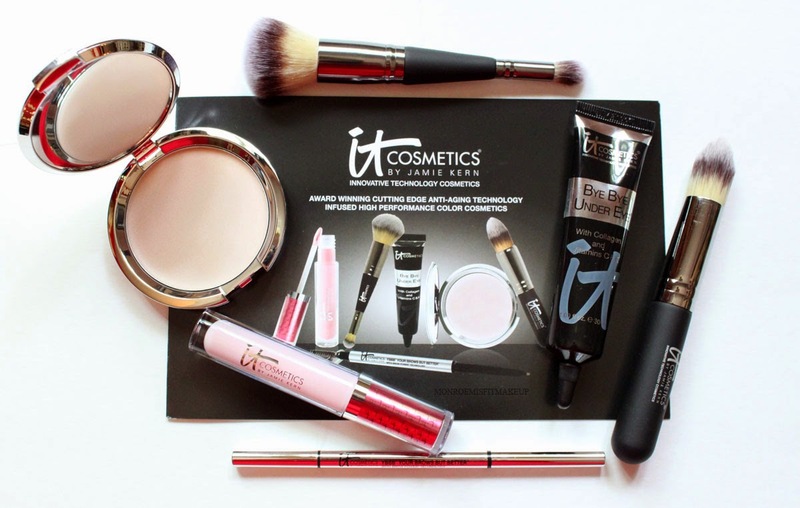 The cream to powder formula makes it suitable for both Oily and Dry skin types. It's not glittery or shimmery, that made me beyond happy. I can see this quickly becoming a favorite highlighter for many, it's subtle and give you that super sought after lit-from-within glowy skin look. The Heavenly Luxe Pointed Precision Illumizer Brush not only lets you apply highlighter like a pro, but I liked it even better for contouring. The medium size and dome tipped shape lets you lightly contour the nose with the tip, while further pressure expands the brush to just the right size for placing contour in the hollows of the cheeks. I'd never even looked at or considered makeup brushes from It Cosmetics before, but just by these two I'm highly impressed. The quality is all there. The bristles are super soft, shapes are innovative to suit the facial structure, and so far not a single bit of shedding. Absolutely would recommend buying these on their own if you're looking for some top quality makeup brushes. YBBB eyebrow pencil is a tiny retractable pencil that mimics the natural look of real hair. The universal brow shade will work for most brows (dark blonde-brunette) depending on how much pressure is applied. The pencil is firm and lends well to soft short strokes. There's also a convenient spoolie on the other end. Only complaint is that you don't get enough in there, .003 oz may run out quickly if you have to fill in your full brow's. Finally the worldwide launch of the Vitality Lip Blush Hydrating Gloss Stain. Infused with nine ultra rich butter's and oils to drench your lips in hydration it's both a lipgloss and anti-aging lip serum in one. Gloss Stain in Je Ne Sais Quoi is a milky pale pink in the tube, but once on your lips it adjusts to create your own perfect natural glossy pink lip. I finally got the "lip blush" part after that..I am blonde :) The gloss brightened up to a beautiful rosy pink on my lips and it feels even more moisturizing than a balm on. 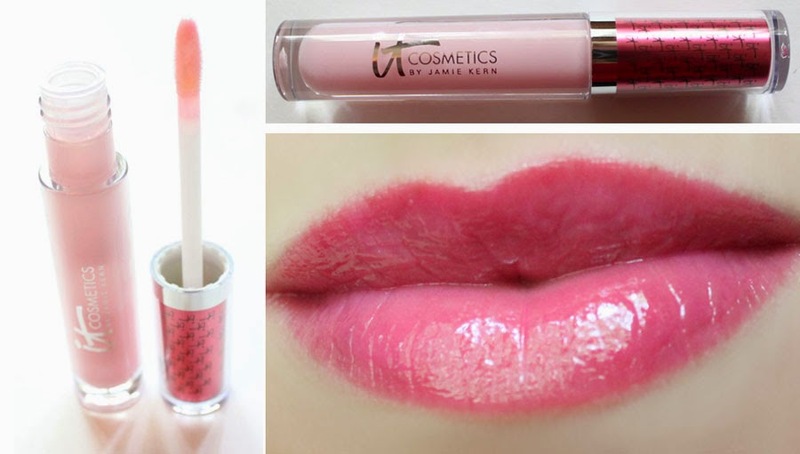 I tend to go for matte lips but this gloss is fantastic, no stickyness, and the color is just so darn pretty. I can see a lot of bride's wanting to wear this.